The Parish Council hopes that everyone will find the time to respond to the Consultation Document -‘Gatwick Airport Second Runway’, and that they will also encourage friends and neighbours to respond. A second runway at Gatwick would devastate this area as we know it today and would leave very little open countryside between here and Dorking. Clear YES to H’row but to not argue which of H/row options ~ let others decide. Focus on airport option, not other issues. Gatwick Masterplan does not show the Crawley North East Sector -1,900 houses for 6,000 people plus schools, other employment areas and open spaces within 600m of the proposed runway. Development is already implemented. Para.3.5 pg.37 -total of 168 residential properties He within airport land take and are likely to need to be demolished ….. Environment : Air quality: Noise : Impact on living conditions of the community. No legal obligation on GAL to refund Council tax – a false promise and impossible to calculate. Compensation is rubbish. Gatwick interested in added value in order to dispose of-just for profit Financial viability figures are lacking -they say it is commercially sensitive Add to the issues missing: transparency, implementation, achieving their aims. 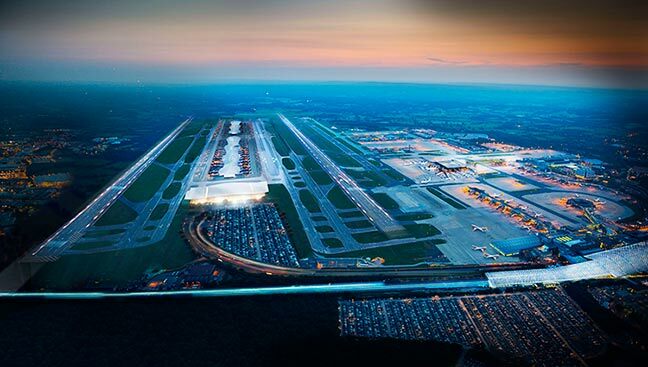 HEATHROW already has better rail and road infrastructure & employment. Capel Parish Council formal response ready for approval Monday Jan 19th 2015 PC meeting. In the interim the Parish Council is keen to hear the views of the community. Please let us know what your views are. print off the question and response form from the website and post in your responses to a freepost address. PO Box 1492. WOKING. G22 2QR.